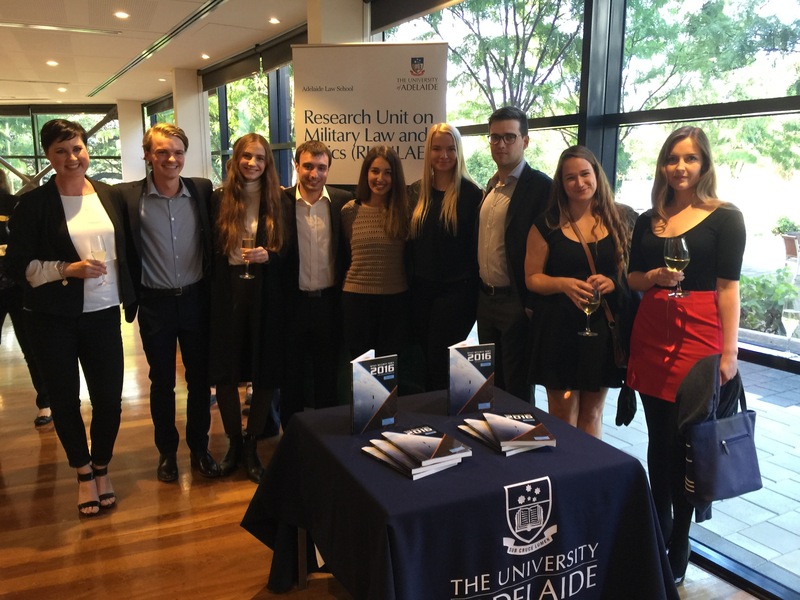 The 2016 Space Security Index was launched at the Australia Wine Centre on 19 February. This publication, co-ordinated by Project Ploughshares, a Canadian-based NGO, details developments related to safety, sustainability and security in outer space. This thirteenth edition of the report covers the period January-December 2015. The purpose of the project is to provide an open and objective resource for governments and regulators regarding activities in and affecting outer space in order to ensure that space remains an environment that is open to all. It covers matters such as satellite launches, new commercial initiatives, space debris and access to space. The 2016 SSI was presented to the UN Committee on the Peaceful Uses of Outer Space. The project brings together teams of researchers from McGill University, George Washington Law School and Adelaide Law School. The 2016 Adelaide team consisted of Joel Lisk, Soraya Pradhan, April Bradey, Tom Skevington (pictured ) and Will Gloster (absent). The work of the Adelaide team was highly praised when it was presented to the SSI group of experts in Montreal in 2016. 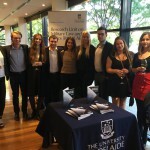 The 2017 team (pictured here with the 2016 team) is Caitlin Marshall, Lukas Price, Lisa Saloukvadze, Joel Lisk, Shannon La Fontaine, and Chloe Evans. The team is coached by Professor Melissa de Zwart and Professor Dale Stephens and supported by RUMLAE. This project represents an important contribution to the global understanding of the importance of outer space to our everyday lives, through services such as GPS, search and rescue, weather prediction and communication. This entry was posted in Commerce, Innovation & Technology, Events, International Affairs, News, Research and tagged adelaide law school, George Washington Law School, McGill University, Professor Dale Stephens, Professor Melissa de Zwart, Research Unit on Military Law and Ethics (RUMLAE), Space Security Index Launch. Bookmark the permalink.